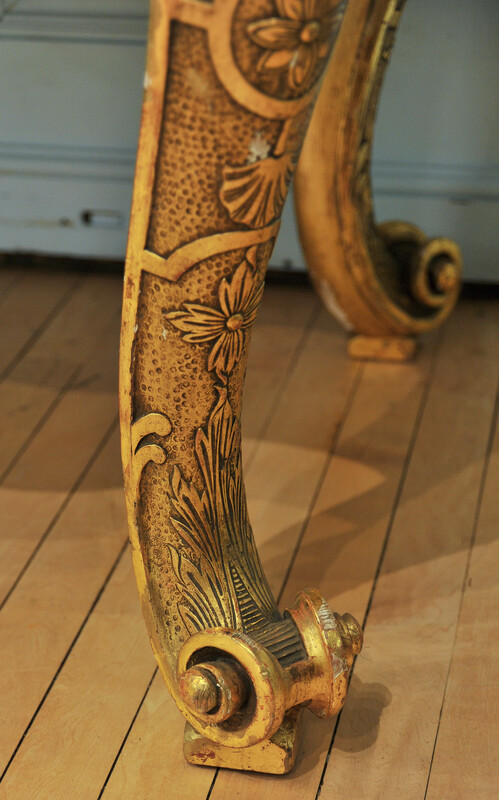 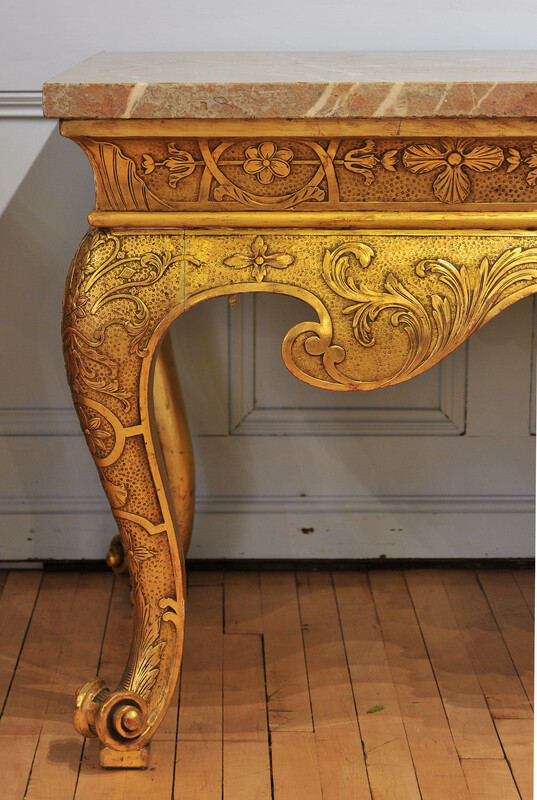 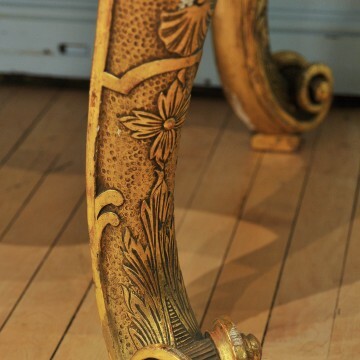 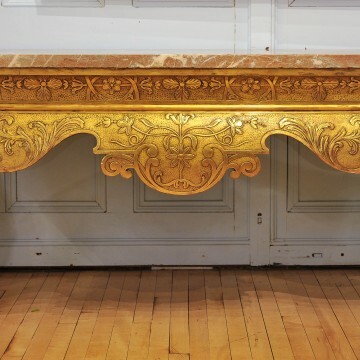 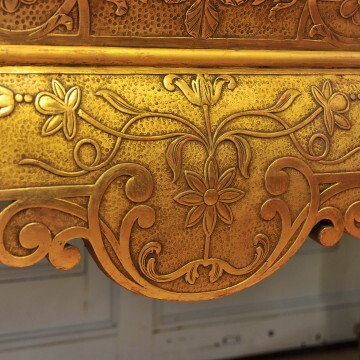 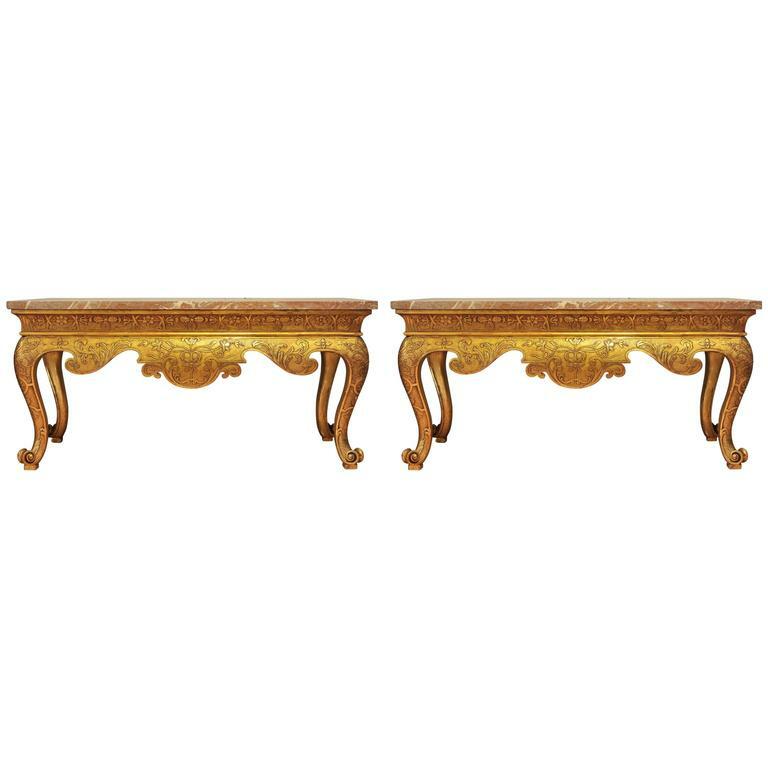 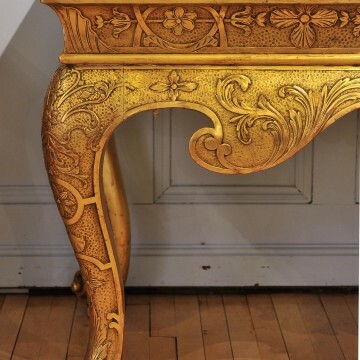 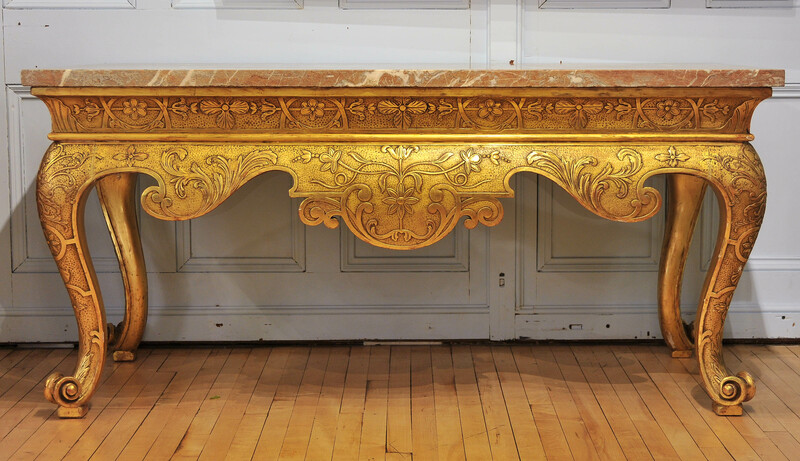 This magnificent and grandiose pair of 19th century gilt consoles feature substantial tops supported on bold and ornate cabriole legs with scroll feet. 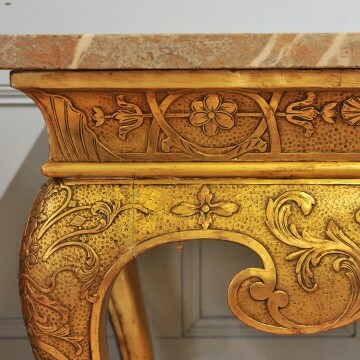 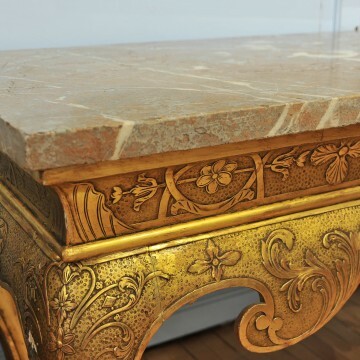 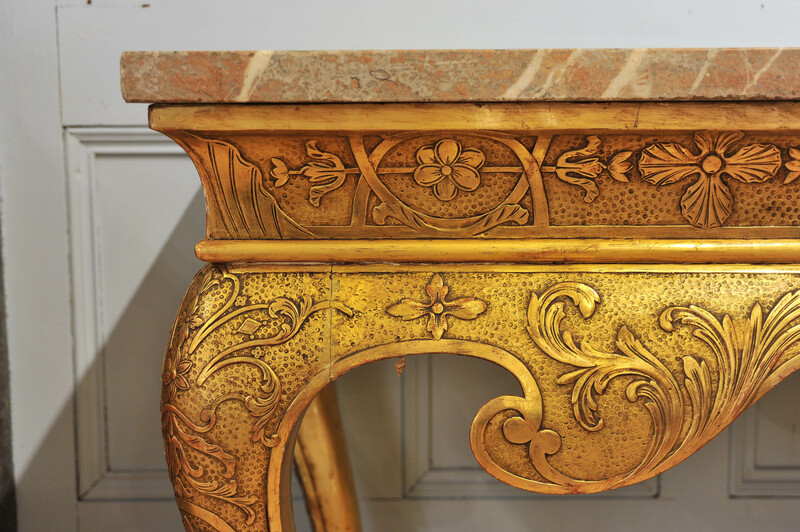 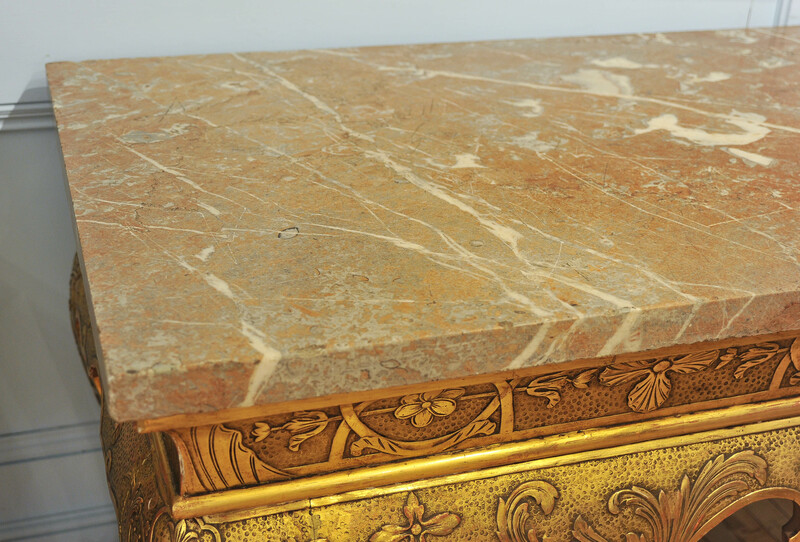 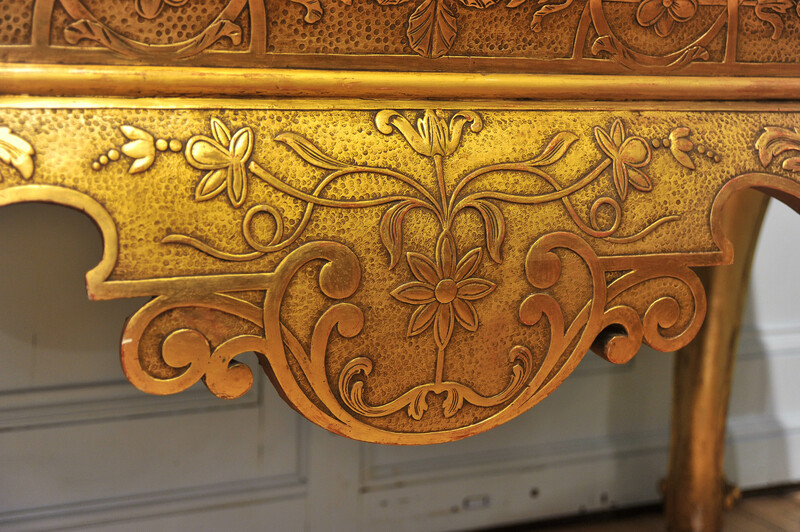 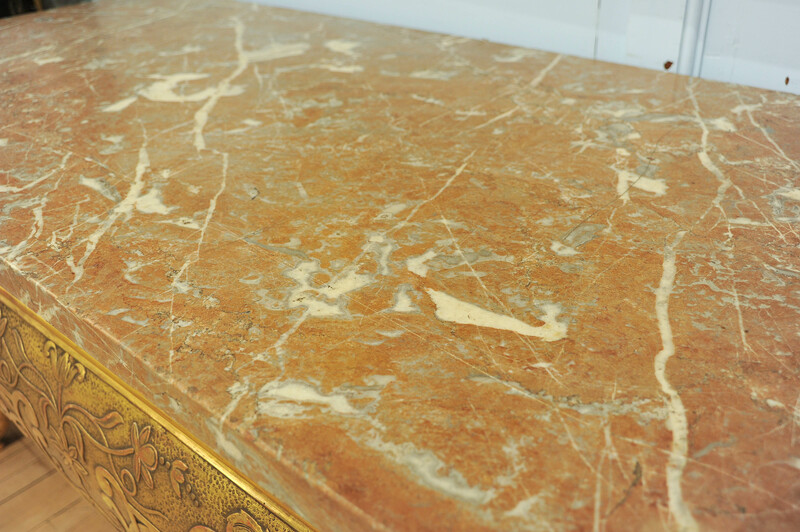 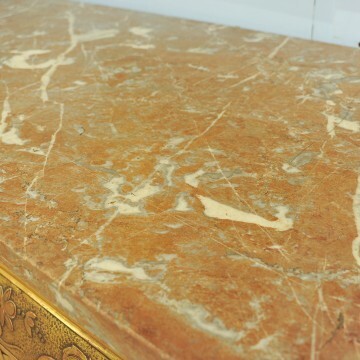 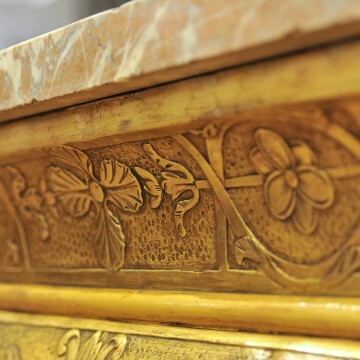 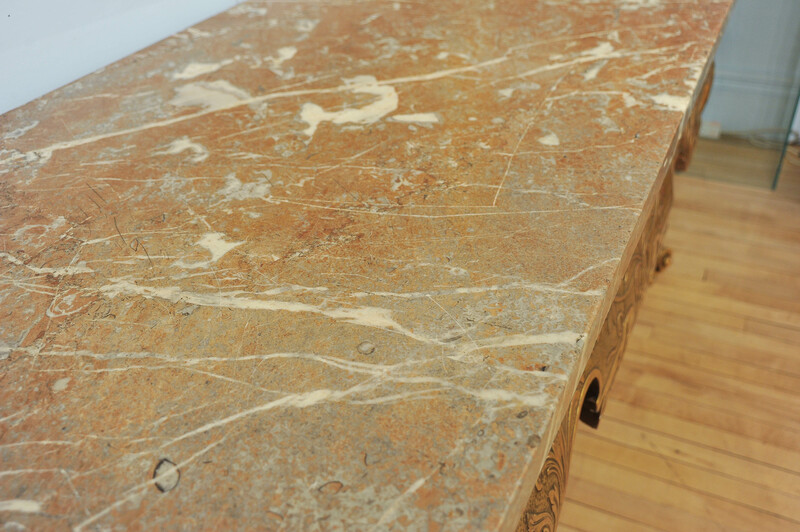 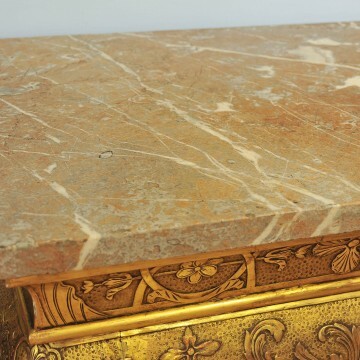 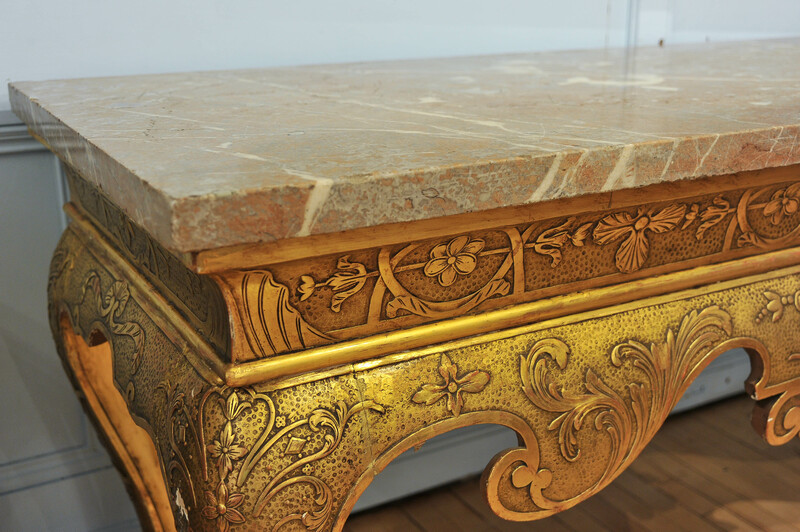 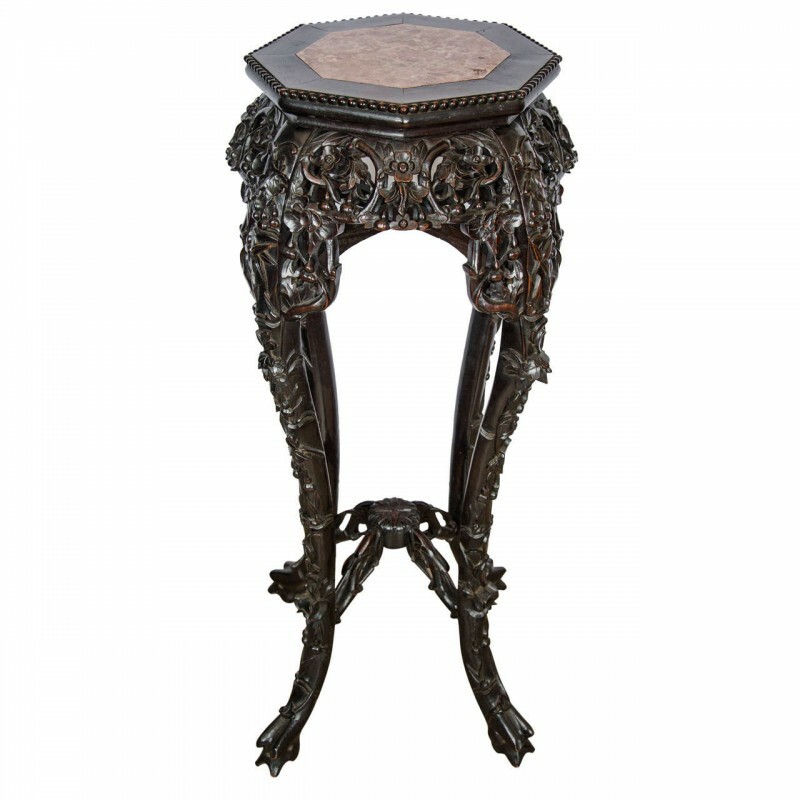 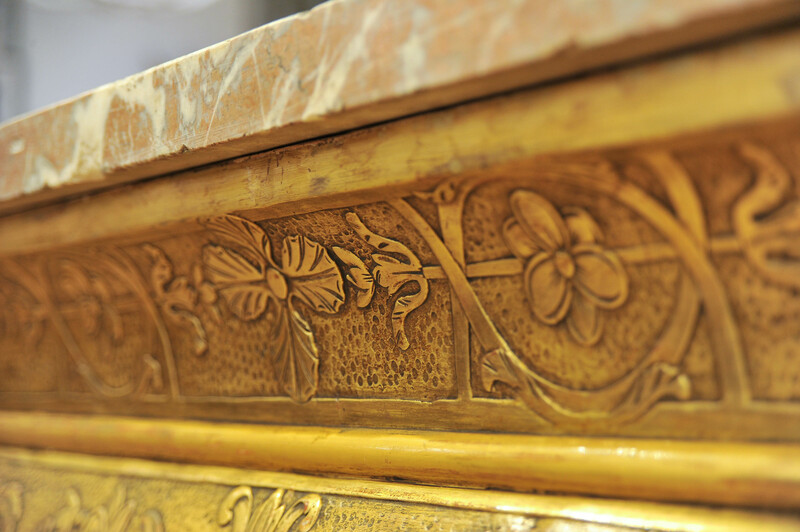 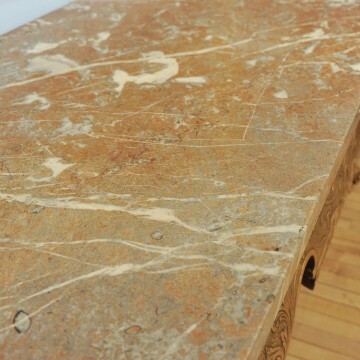 The marble measures 1 ½ in – 4 cm thick and the consoles have an all-over decorative floral and scroll carved design with a curved and shaped front apron. 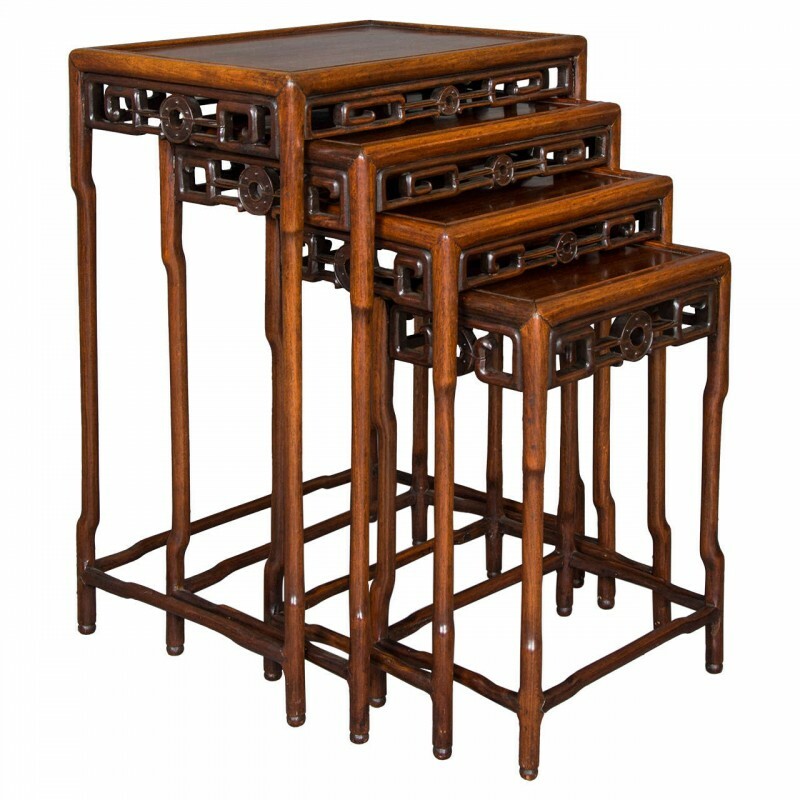 Each table measures 69 in – 175.3 cm wide, 30 ¼ in – 76.8 cm deep and 32 ½ in – 82.5 cm in height. 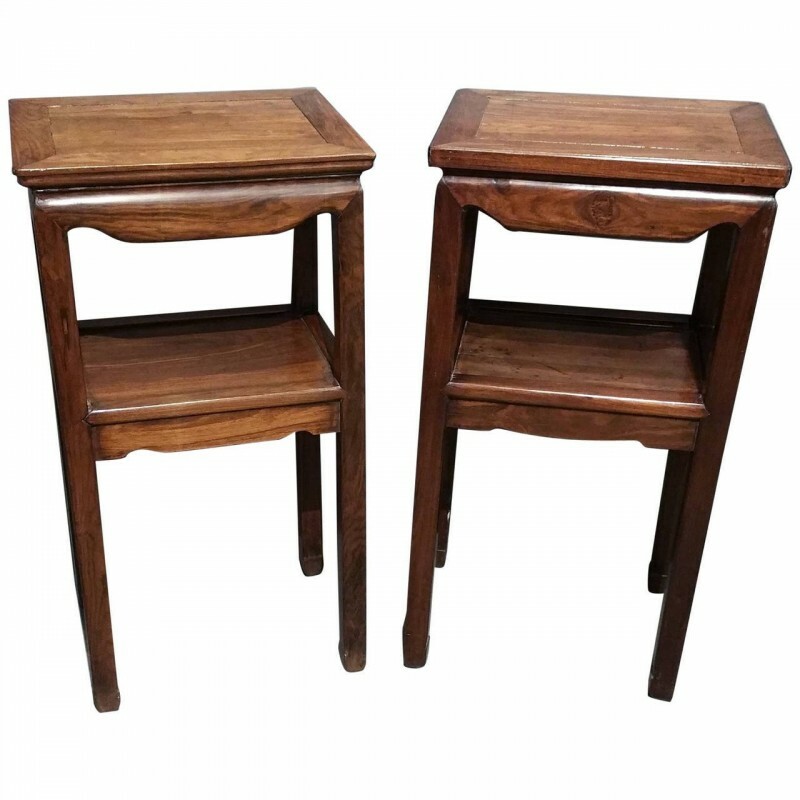 This pair would make an amazing and powerful focal point that would enhance a variety of rooms and settings.